Fully Fitted Shop with seating area. A5 User Class – Hotfood Takeaway. 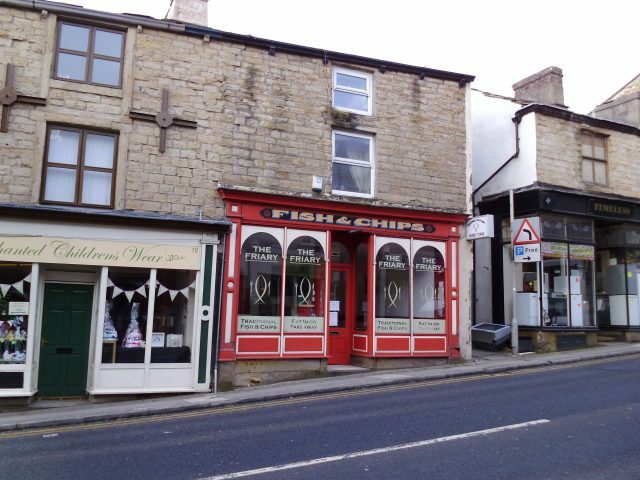 This popular Fish and Chip Shop is situated on a busy main road on Burnley Road in Padiham. 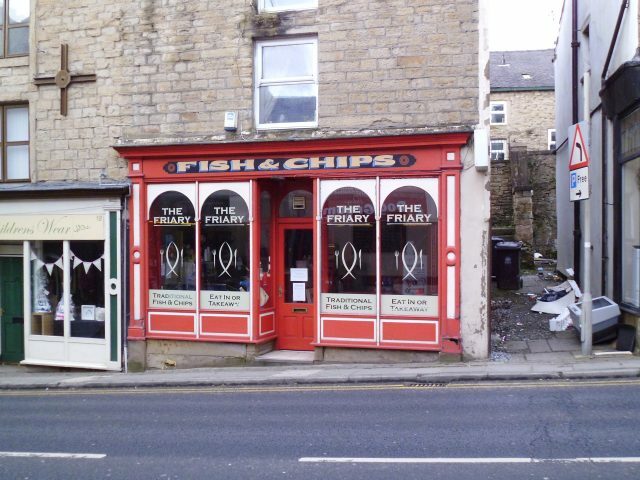 The business has an excellent reputation providing freshly prepared fish and chips, sausages and pies. There are many repeat and regular customers to the business however there is also scope to build trade by extending the opening hours. Current trading hours are Wednesday to Saturday (dinners and teas only). The business has a low monthly rent and benefits from small business relief so there are no rates to pay. Accounts are available on request. This is an excellent opportunity to make your mark on an established business easily run by 2 persons. The first floor is not included. The successful tenant will have to be approved by the landlord to lease these premises. Referencing will be undertaken for which there will be a charge and the tenant will also be responsible for paying the landlords legal costs in relation to the drawing up of the lease and heads of terms. Exact details will be obtained when the leasing has been negotiated (minimum fee £350).